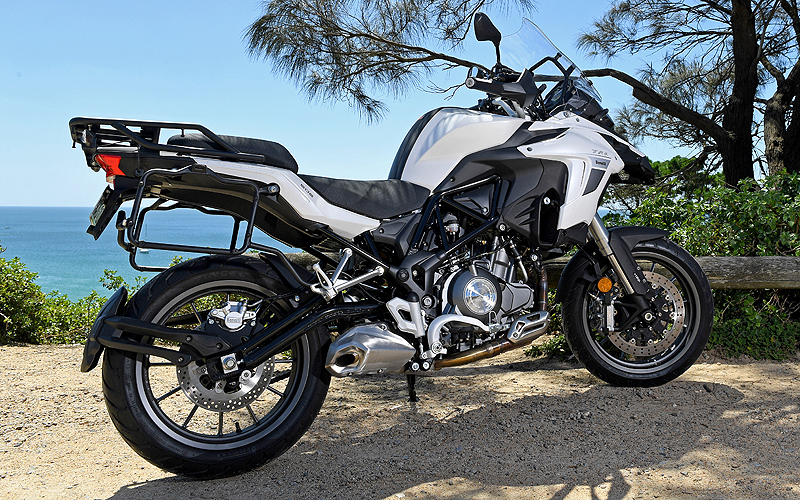 Benelli’s learner-friendly TRK 502 adventure bike dresses to impress, but does it have the performance to match? On my initial outing with the new Benelli TRK 502, I stopped for a breather at a service station just west of Melbourne and a punter with a paint-stained shirt and wrap-around Oakley sunglasses approached me. Not looking for trouble, I hastily geared up, forgetting the cardinal rule: helmet first, then gloves. Duh. Too slow on the draw, I was reminded not to judge a book by its cover, because the man approaching (Dave, you’re a legend mate) wanted nothing more than to shoot the breeze about motorcycles. “How’s it going mate? I’m thinking about getting a Tiger myself. What’s it like?” he asked. 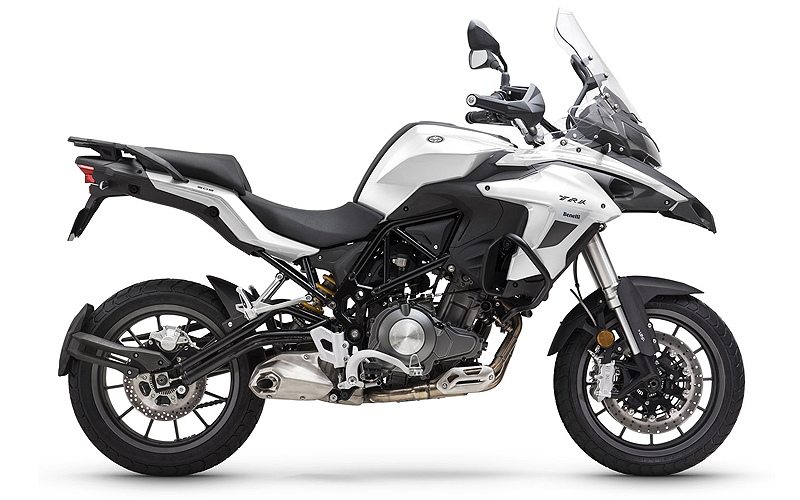 “This is actually Benelli’s new adventure bike. Easy mistake to make,” I explained. If the folks at Benelli witnessed this interaction, I reckon they’d be rubbing their hands together and whispering “excellent”, like Mr Burns plotting one of his many nefarious schemes. 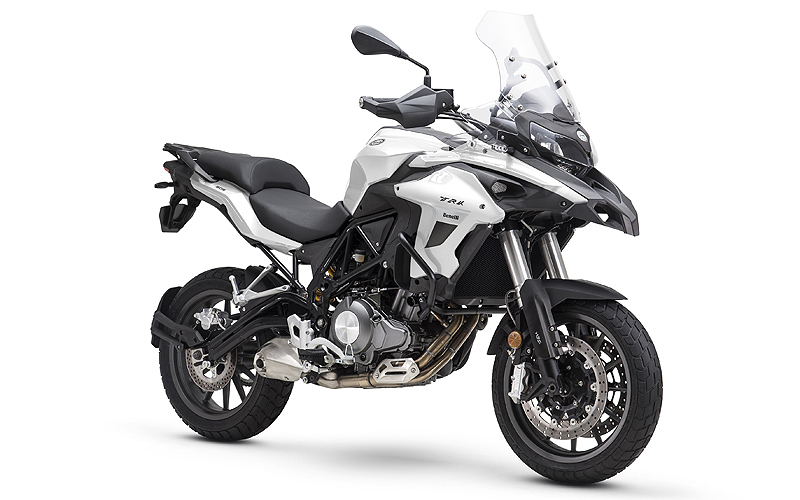 While it’s arguable that the Benelli looks similar to the big Triumph, there’s no doubt the new TRK 502 shares design cues with many of the flagship adventure motorcycles on the market today. 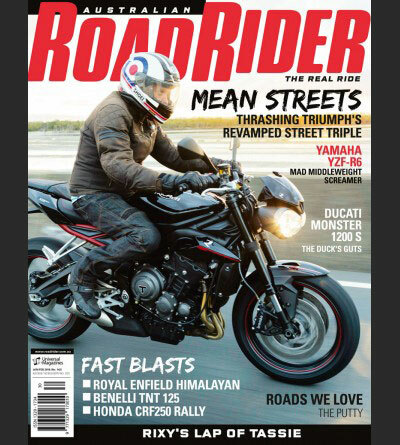 The bike has sharp, aggressive lines, a wide-and-tall stance, a serious windshield and a hefty 20-litre tank. In short, the TRK looks the part. 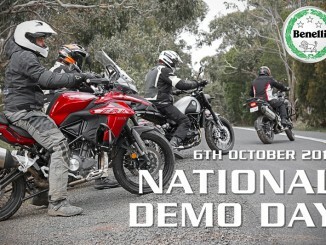 Learner-approved, and just $8790 ride away, the bike makes a good first impression, but does it have the go to match the show? Let’s find out. At the heart of the TRK is Benelli’s new liquid-cooled 500cc parallel-twin engine, placed nicely in a steel trellis frame. The donk produces a modest 35kW of power and 46Nm of torque, but delivers it beautifully. 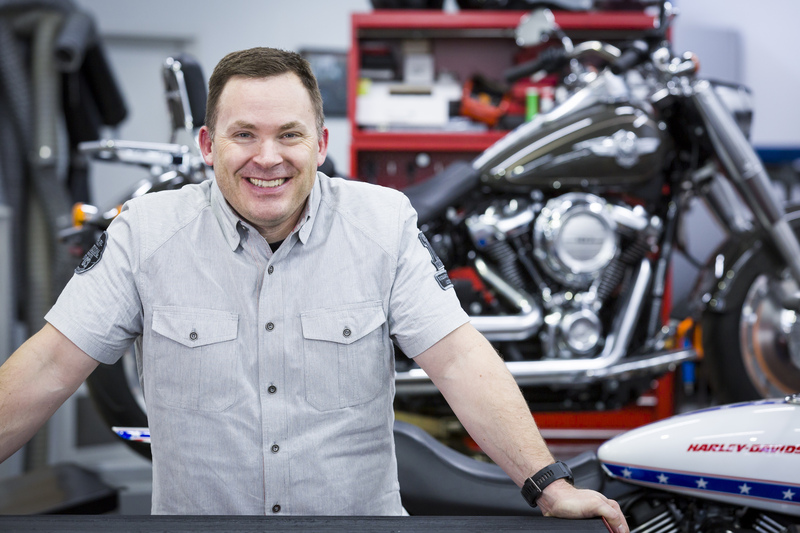 It winds up smoothly to its 9000rpm redline, making it easy for a learner to handle, but in such a way that experienced riders can still get their kicks. You also get a fantastic note from the exhaust pipe, though its low-mounted side-exit format rules out any serious water crossing capability. 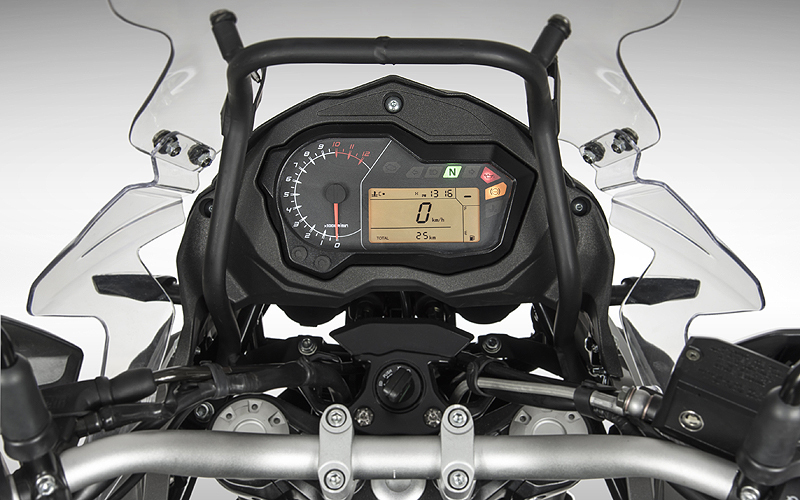 At 100km/h in sixth gear, the parallel twin ticks along at just over 5000rpm. Though I didn’t get a chance to find the bike’s terminal velocity, my fellow mug lairs will be pleased to know there’s plenty enough top end to lose your licence and then some. With a seat height of 800mm, wide bars and low footpegs, the TRK is approachable for new riders but reminiscent of big-bore adventure bikes with its seating position and tall windscreen. 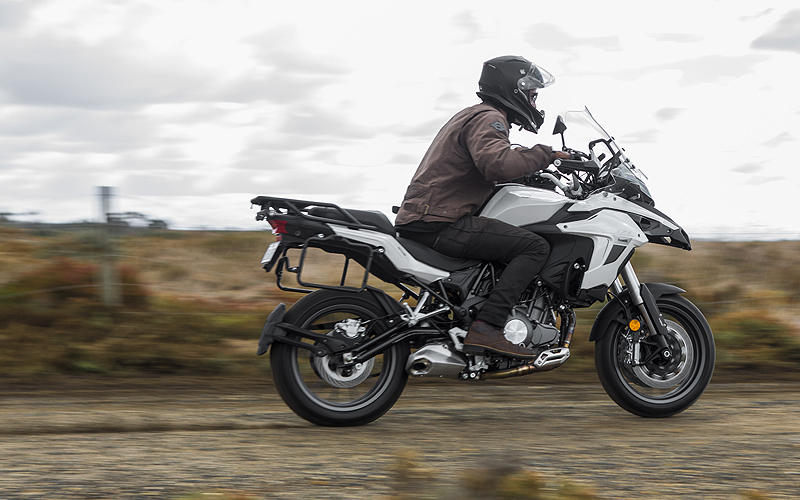 At cruising altitude, the ergonomics provide the feel of a “proper” adventure bike, which certainly adds to the experience. Tipping the scales at 235kg (wet), it can be quite a handful off-road, and I suspect smaller riders will find it tedious in stop/start traffic. For suspension, the bike makes use of 50mm inverted Marzocchi forks with 145mm of travel up front, and a Sachs monoshock with 45mm of travel handles at the rear. When pushed, the plush ride hurts its cornering performance, and I found the rear end wandered when I really put the hammer down. Pirelli Angel rubber is standard, providing plenty of on-road grip. Stopping power is provided by twin 320mm discs up front with four-piston radial-mounted Brembo callipers which are backed up by a Bosch ABS system. While the stoppers look good on the spec sheet, they leave a lot to be desired when you need to pull the bike up in a hurry. In my opinion the brakes are one of the TRK’s biggest shortfalls. Fortunately, the ABS can be toggled by a button near the left grip. Again hurting its off-road credentials, 17in cast-alloy rims are featured front and rear. Unlike some budget-conscious learner models, the TRK 502 has a premium feel right down to the details. The instruments look the business, with a large analogue rev counter aside a small screen that provides speed readout, gear indicator and two trip meters. Other notable tech features include a USB port on the tank, LED daytime running lights and LED indicators. 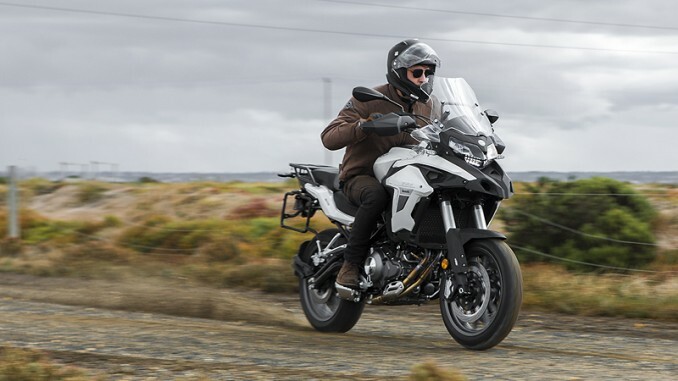 Benelli has dubbed the TRK 502 an adventure bike, but with only 17in wheels, a low-mounted exhaust and heavy-in-class kerb weight, that title is a bit of a stretch. Call it a sports tourer and things begin to make more sense. It’s comfortable, has a pokey engine, good grip and oodles of luggage space. 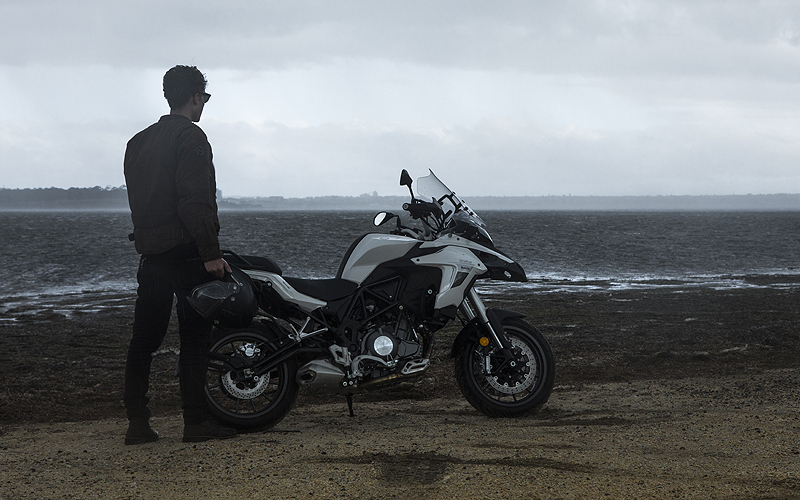 It’s no Triumph Tiger, Dave, but the TRK 502 is a huge step in the right direction for Benelli, and a motorcycle that a learner-rider could welcome to their stable proudly. 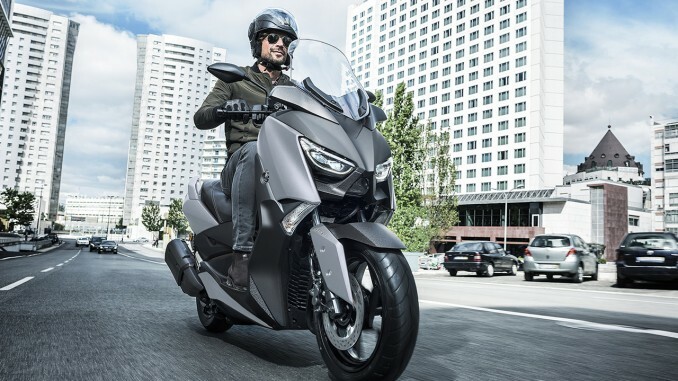 The bike is available now for $8790 ride away and comes with a 24-month unlimited kilometre warranty with roadside assist.